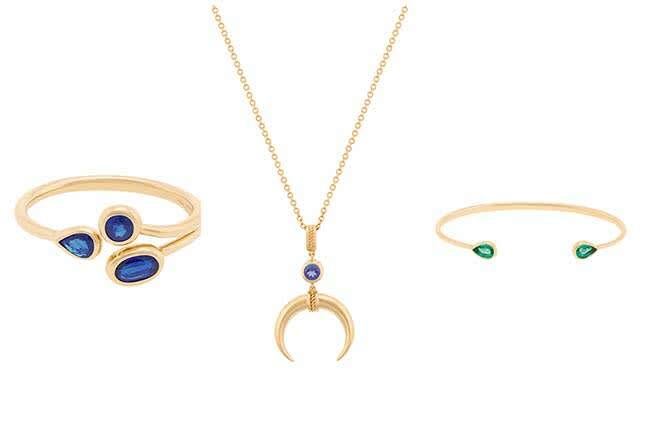 Get a glimpse at Chelsy Davy's ethical new jewellery line | HELLO! Prince Harry's ex-girlfriend Chelsy Davy has launched an ethical new jewellery collection inspired by Africa. The 30-year-old, who was born and raised in Zimbabwe, founded AYA after giving up her career in finance law and exploring her homeland to learn more about its cultures and traditions. The collection of delicate rings, earrings, necklaces and bracelets starts at around £580, and features colourful gemstones that have been sourced from all over Africa. Speaking about the inspiration behind her collection, Chelsy said in a statement: "Africa has always been an integral part of my life and will always be my home. It is an absolutely fascinating continent and I was inspired by its rich culture and the bold and vibrant nature of African design." Chelsy studied at the Gemological Institute of America to learn more about gemstones, and developed a strong passion that led her to launch AYA. "I wanted to do something a little different and showcase these beautiful coloured gemstones in modern and contemporary designs," Chelsy said. "The gemstones in the pieces are so magnificent on their own that they don't need diamonds. After studying coloured stones at GIA, I am now obsessed with all the different gemstones out there and would love to work with gemstones from all over Africa." Each 18-carat gold piece in the collection has been sourced through ethical mining and includes gemstones sourced from all across Africa, including Emeralds from Zambia and rubies from Mozambique. Chelsy launched the collection in London earlier in June, and received support from Princess Eugenie, who she remains close friends with. These days Zimbabwean Chelsy is very much focused on her growing jewellery business, and divides her time between Zimbabwe with family, her mine in Zambia and her home in Chelsea, West London. Is Chelsy Davy about to announce her engagement?